This booklet is the first of its kind, originally in the urdu language by Moulana Mufti Muhammad Riaz Jameel. 13. Upon whom is the maintenance during Iddat. 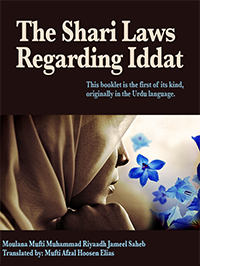 Leave a comment for: "The Shari Laws Regarding Iddat"